There are a couple of recipes all BBQers should have up their sleeve. 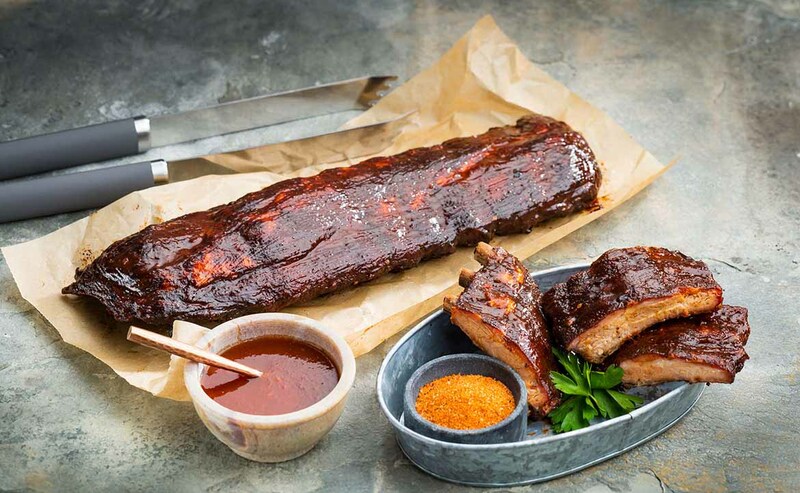 A juicy burger, a delicious brisket and, of course, an unbeatable rack of ribs. 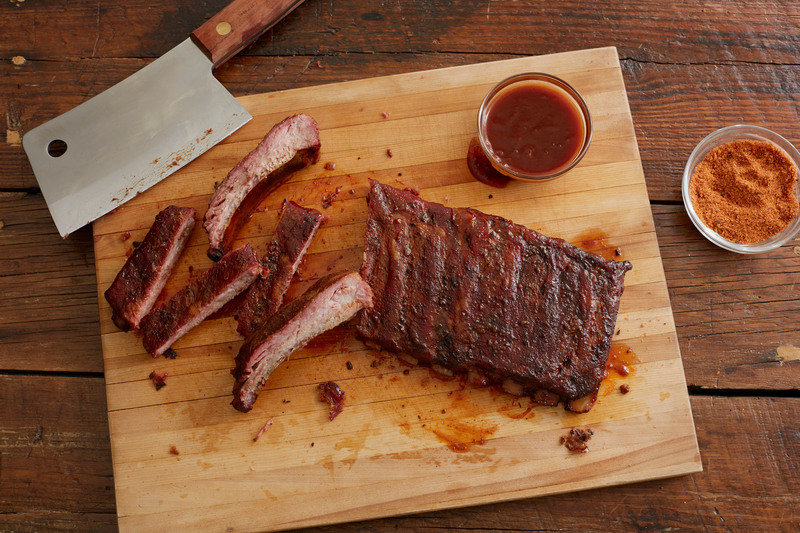 Our Smoked Pork Ribs recipe is a great introduction to the art of smoking ribs, and a recipe you’ll come back to time and time again. Let’s start with the ribs themselves. Baby back ribs come from the ribcage of the pig and are usually a little meatier than St. Louis ribs, but either will work for this recipe. Before you put those things on the smoker, it’s crucial that you remove the rib membrane. This is the thin skin connected to the back of the rack of ribs. Simply get the membrane started with a kitchen knife; then it should pull off all in one piece. If you are having trouble holding on, try using a paper towel to grip the membrane. Then comes the rub. 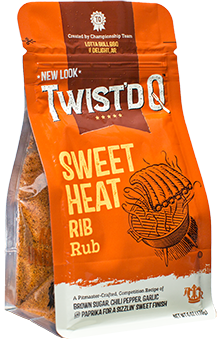 Of course, we recommend our Sweet Heat Rib Rub. This recipe was concocted by Mike Davis of Delight, Ark. Mike’s won just about everything there is to win in competition BBQ. Not to mention the American Royal World Series of Barbecue®. He’s been using this prizewinning blend of spices and seasonings for almost a decade. 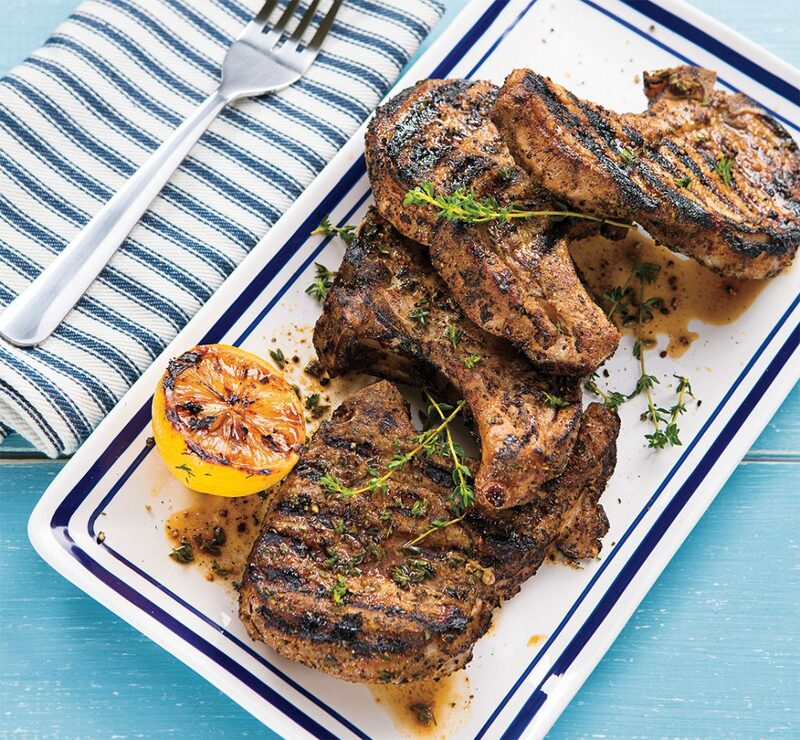 Long or short, this recipe will take your ribs to the finish line. If this Smoked Rib recipe was a hit, we recommend giving this Best Smoked Pork Tenderloin Recipe a shot. It’s another cookout staple that will keep ’em coming back. 1.) Start your smoker following the manufacturer’s instructions and bring the temperature up to 250°F using your favorite smoking wood. 2.) Remove the thin membrane connected to the back of the rack of ribs. Try using a paper towel to grip the membrane if you are having trouble holding on. 3.) Squirt some yellow mustard, about 2 tsp on the meaty side of the rack (try using Dijon to step it up a notch), and smear it evenly over the entire surface. The mustard will help the Sweet Heat Rub stick to the meat and help with color, crust, and flavor. 4.) Place the rack of ribs in your smoker and allow to smoke for about an hour and then spritz apple juice over surface of meat. (Turn the flavor up by adding Worcestershire, Soy Sauce and Apple Juice in a 2:1:1 Apple : Worcestershire : Soy ratio). The spray will help reduce moisture evaporation, promote even cooking, and add flavor to your ribs. Spritz with this mixture every 30 minutes to 1 hour. 5.) Using tongs or heat proof gloves, remove the rack from the smoker and wrap in foil. Place back in the smoker for about 1-2 more hours or until a toothpick inserted into the thickest part of the ribs between 2 bones is met with slight resistance. Once you’ve reached this point, open your foil up to create kind of a boat that cradles the rack of ribs. Crank your smoker up 25-50°F. 6.) Using a pastry brush or BBQ mop, spread honey and butter over surface of ribs. Continue to cook until a toothpick inserted into the thickest part of the ribs between 2 bones is met with little to no resistance. 7.) Remove from the smoker and eat as is or with your favorite BBQ sauce.